A UAE-based developer is offering citizenship of Antigua and Barbuda to those buying properties in its Ajman project, Emirates 24|7 can reveal. Residential rents in Dubai rose marginally in October, but are up almost 18 per cent in the past 12 months, Reidin.com data reveals. Almost 20 per cent of Filipinos living in the UAE are planning to buy a property in the Philippines within a year, according to a new survey. The study was conducted by New Perspective Media, the organisers of the Philippine Property and Investment Exhibition and polled 1,000 Filipinos living in the UAE. Damac Properties is set to open two more serviced hotel apartments in the Burj area of Dubai over the coming months, as it continues to expand its hospitality business. Stock markets from Dubai to Riyadh tumbled on Sunday as investors braced for a renewed decline in oil prices after Opec ruled out cutting production. Saudi Arabia’s Tadawul headed for a bear market, while the Dubai Financial Market General Index dropped to its lowest level since October 16.
wasl Asset Management Group has announced the launch of a new development that sees it entering Dubai's freehold real estate sector for the first time. Creek Heights comprises of three components including a fully furnished branded freehold luxury apartment building named Hyatt Regency Creek Heights Residences. Roald Dahl’s timeless story of the world-famous candy man and his quest to find an heir comes to chocolate-covered life. Songbird Estates, the majority owner of London's Canary Wharf, said an upturn in property markets means it is now worth 2.82 billion pounds ($4.42 billion), more than the takeover offer from Qatar Investment Authority (QIA) and Brookfield Property Partners . Residential rents in Sharjah surged 23 per cent during the first nine months of 2014 due to a limited supply pipeline and comparative affordability to Dubai, a new report found. Doha expats are paying “considerably” more for rent than the international benchmark for affordable housing, a new analysis has found. What factors are driving Sharjah rental surge of 23%? Though the pace of increase in Sharjah rents has slowed down marginally in third quarter 2014 compared to the second quarter, but overall the lettings market has risen 23 per cent in the first nine months of the year, according to Cluttons latest report. Witness our 'C' come to life and create your own masterpiece at our hands-on workshop. One of the leading shopping destination, Mall of the emirates with more than 500 shop and brands join the celebration of the This National Day, proudly celebrate 43 years of prosperity at Mall of the Emirates with spectacular performances by talented artists and more. Jumeirah Golf Estates has launched its 15th community at the golf and leisure development, following strong demand for residential units. Jumeirah Golf Estates on Wednesday said it has launched its 15th residential community, days after hosting the DP World Tour Championship. Dubai: It costs 23 per cent more to rent in Sharjah today than it did at the start of the year, according to property consultants Cluttons. Dubai’s skyline is ranked among the best in the world, but four tall towers, had they not been put on hold due to the global financial crisis, would have transformed the emirate’s horizon. Dubai-based developer Damac Properties will open two new hotels in the Burj Downtown area as it aims to complete over 10,000 serviced hotel apartments by 2018. Nakheel aims to attract young Emirati entrepreneurs to occupy its latest retail development of more than 1,000 shops and restaurants. The Palm islands developer yesterday launched and leased 90 per cent of its Warsan Souk project close to its vast International City development. Shareholders in Emaar Properties , Dubai’s largest listed developer, approved on Monday a special cash dividend totalling Dhs9 billion ($2.45 billion), it said in a statement. Shareholders in Emaar Properties, Dubai's largest listed developer, approved on Monday a special cash dividend totalling 9 billion dirhams ($2.45 billion). Abu Dhabi investors have agreed a Dh1.8 billion financing deal to develop apartments next to London’s Buckingham Palace. UAE developers are no longer merely announcing projects at realty exhibitions; they are now ensuring work starts on them at the earliest. Emaar Properties and Dubai Holding, developers of Dubai Creek Harbor at The Lagoons, did not hike sale prices during the launch of their second and third tower of Dubai Creek Residences, real estate agents have told Emirates 24|7. $3m house adapts to changing seasons: Coming to Dubai? Imagine living in a house that adapts to the seasons and moves, literally, inside itself. Now imagine the cost? A whopping Dh11 million ($3 million). Damac Properties will release more villas at its Akoya Oxygen master development during the International Real Estate & Investment Show (IREIS) in Abu Dhabi this week. The 55mn ft2 luxury green community is set around the Trump World Golf Club, Dubai. Dubai developer Emaar Properties has called for an ordinary general meeting (OGM) of its board and shareholders on Monday, November 24, to approve a special cash dividend of Dhs9 billion ($2.45 billion), it announced on Sunday. Depa returned to the black again yesterday as the company benefited from a flurry of hotel building in Dubai and closed down loss-making parts of the business. DUBAI // Sheikh Mohammed bin Rashid, Vice President, Prime Minister and Ruler of Dubai, has urged the public to suggest people to be honoured on National Day. He took to Twitter on Friday to ask for nominations for 43 individuals from different fields to be honoured on the UAE’s 43rd National Day on December 2. Abu Dhabi: With annual rates starting at Dh110,000 for the lease of apartments in Abu Dhabi’s tallest tower, Burj Mohammad Bin Rashid, demand is strong from residents of various nationalities, according to Talal Al Dhiyebi, executive director of asset management at Aldar Properties. A 'freelance' property agent has duped SK, a newly arrived expatriate, who leased a property in Dubai from the scamster using a leading classified website. Revealed: Where in India are UAE NRIs buying properties? The UAE-based non-resident Indians (NRIs) are showing keen interest in buying properties back home, primarily driven by a weakening rupee that makes property investment cheaper for them. DUBAI The first of the several apartments in the long overdue Dubai Lagoon project by Schon Properties may finally be handed over to investors late next year, a company representative has told XPRESS. Sharjah this week launched a new AED2 billion ($544 million) master development, which will be the first project in the emirate to allow foreign investors the right to own properties for up to 100 years. Dubai-based property developer SKAI Holdings announced that it has completed just over 30 per cent of construction on its $1 billion Viceroy Dubai Palm Jumeirah development. Does landlord or tenant pay municipality fee on Dubai property? Looking to put your child in school? Here are a few general guidelines to follow. Some people think that you can judge schools by their test scores alone, but schools are about so much more than that. Come join the fun at the National Day Parade on the Mohammad Bin Rashid Boulevard, 3:00 - 5:00 PM. Everyone is welcome! Just when you thought it couldn’t get any bigger or better The Parade Downtown Dubai is coming your way this UAE National Day! Witness Mohammed Bin Rashid Boulevard transform into a stage, where the citizens and residents of the UAE manifest for the celebration of 43 UAE National Day. The Dubai Property Show takes place 23rd - 28th Nov. Will we see you there? Do you fear opening your closet because things fall out? Here's a perfect guide for you get organized. It is two years ago today that the 34-storey Tamweel Tower in Jumeirah Lakes Towers (JLT) was gutted and its residents stranded on the street in the middle of the night. Tilal City, a new mixed-use community being developed over an area of 25 million square feet in Sharjah, is worth Dhs2 billion, its developer said in a statement post its official launch. 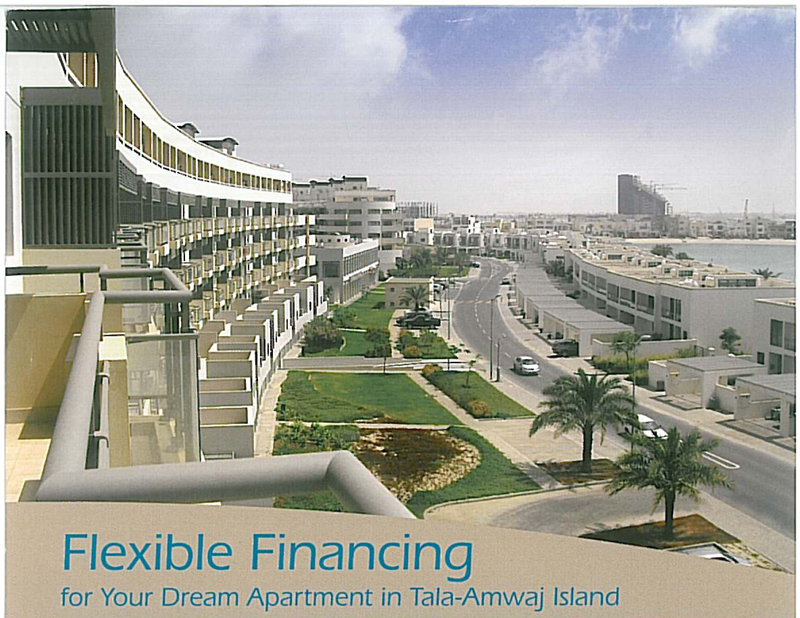 The new city is located off Emirates Road, close to the Al Dhaid interchange and will be developed by Tilal Properties. Sharjah is opening its property market to foreign investment for the first time as expatriates are granted the right to buy homes. Leases of up to 100 years will be granted as the emirate benefits from spillover property demand from neighbouring Dubai. Damac Properties says it will release more villas at its Akoya Oxygen project this week. A “limited” number of villas at the 55 million sq ft community in Dubai will be available at the International Real Estate & Investment Show in Abu Dhabi from Thursday. R Hotels, the hospitality management division of the Ajman-based R Holding, has announced plans to invest Dh500 million in a four-star hotel on the Palm Jumeirah. The hotel is expected to be opened in Q4 2016 launch, which will be a sharia-compliant and four-star resort and spa. Qatari Diar Real Estate Investment Company, the property arm of the Gulf state’s sovereign wealth fund, has launched its Diar Dushanbe project in Tajikistan, the first development in the Asian country to grant foreigners the right of ownership. The cost of repairing the fire-damaged Tamweel Tower has reached $21.2 million (AED78 million) according to the latest assessment carried out. Bollywood superstar Shah Rukh Khan will turn designer for the possible re-launch of his namesake ‘Shah Rukh Khan (SRK) Boulevard’ development in Ras Al Khaimah, Emirates 24|7 can reveal. Arabtec’s third quarter profit fell by almost a third on costs associated with a companywide restructuring that followed the departure of the former chief executive Hasan Ismaik. Dubai developer Nakheel and Souq Residences, which is a joint venture between IFA Hotels & Resorts and Istithmar World, have reached an agreement on the Golden Mile mixed-use development on Palm Jumeirah. Average rents in Jumeirah Village Circle (JVC) rose the maximum in the last four years, followed by Jumeirah Lakes Towers (JLT) and Dubai Marina master developments, an analysis of Dubai’s official rent index by Unitas Consultancy reveals. JVC saw rents rising by 68 per cent since October 2010 to November 2014.
ai Land Department (DLD), according a senior official. A total of 43 projects that were stalled have been revived through a DLD initiative called Tanmia, which looks after incomplete projects in difficulty and not progressing, according to Emirates 24/7. At least 43 stalled projects worth over Dh10 billion have been revived by the Dubai Land Department (DLD) through two of its real estate project revival initiatives, a senior DLD has revealed. Drake & Scull International (DSI) reported a 16 per cent fall in third quarter profit, dragged down by a drop in revenues in the key market of Saudi Arabia and a legal row over a UAE project. Aldar Properties, the Abu Dhabi developer, has said that it has already leased 50 per cent of the units at its newly launched Burj Mohammed Bin Rashid tower - the tallest in the capital. Dubai: The design and identity of the architectural firm for the world’s tallest all-commercial tower in the making — Burj 2020 — could be confirmed in a matter of weeks. UAE commercial real estate sentiment is on the rise, with the growing demand putting upward pressure on rents across the market, according to the Royal Institution of Chartered Surveyors (Rics). The Italian Luxury Interiors Exhibition is set to return with its fourth edition to Dubai on 18-21 November 2014 at the Ritz Carlton, DIFC. Hosting your first house-warming party? It may seem intimidating, but with a few tips and tricks, you;ll be on your way! Hosting your first housewarming party? It can seem a little intimidating at first, but with a few party planning tricks and tips you will be on your way to throwing a stress-free housewarming party! Did you know? The Dubai World Trade Center was the first high-rise building on Sheikh Zayed Road! Lily Allen comes to Dubai for the Emirates' first ever Party In the Park! Check out the link for details! Welcome to What’s On Party In The Park, a day long festival unlike anything you will have seen before in Dubai. The Dubai Racing Season kicks off today, ending with the "world's richest day in racing" on March 28th. Who are you betting on? In addition to offering the world's richest day in racing, the Dubai World Cup, sponsored by Emirates Airline, Meydan will again offer a full season of racing, November 6 through the Dubai World Cup, March 28. The Global Village opens today and looking for a particular stall in an area of 17million sq ft is a daunting exercise unless you know exactly where to go! Dubai: The Global Village has been an entertainment fixture in winter for UAE residents for 16 seasons. However, plans to turn the Global Village into a year-round venue have been shelved until the world economic outlook improves and the political upheaval in the Arab world stabilises, Saeed Ali Bin Reda, chief executive. Do you spend your time in the kitchen when hosting a party? An open kitchen lets you stay in the thick of things while serving! The idea of the open kitchen has been around since the 1990s and continues to be popular. Did you know? The slope at Ski Dubai, at 400 meters, is longer than any indoor ski slope in the UK! The R&A Rules School 3-Day Course for all Golf enthusiasts, 3rd - 5th Nov. Are you interested? The R&A is an organisation that aims to help those interested in the game of Golf to develop their interest into a full-fledged passion for the sport and inspire them to play using the best possible standards and practices. House hunting in Dubai? Let PropertyZaar show you exactly what you're looking for! Dubai: Nothing like a round of golf to throw the spotlight back on Dubai’s pristine greens... and its golfing communities. And if the tee-off involves some of the top players in the business, the level of interest generated can scale up quite a bit. The Director of the Coordination Office of the UAE-funded Development Projects in Egypt, Rashid Al Dhaheri, has revealed that the UAE is implementing a number of development projects worth more than $10 billion in 18 governorates. Abu Dhabi’s largest property developer Aldar Properties reported a 41 per cent rise in third-quarter net profit on Thursday, beating analyst forecasts. Aldar Properties profits surged 42 per cent in the third quarter, helped by the soon-to-be-opened Yas Mall. Abu Dhabi's Aldar Properties announced on Thursday it had rented out half of the residential units in the city's tallest tower - Burj Mohammed Bin Rashid - just one week after it was renamed in honour of Sheikh Mohammed bin Rashid Al Maktoum, Vice President and Prime Minister of the UAE and Ruler of Dubai. Abu Dhabi's largest property developer Aldar Properties reported a 41 percent rise in third-quarter net profit on Thursday, beating analyst forecasts. Is house rent consuming 50% of your salary in Dubai? Professionals, preferring to live in posh localities such as Dubai Marina, the tallest building block in the world, are sharing apartments or moving out of the master community as rising rents are gobbling up almost 50 per cent of their salaries, according to a real estate consultancy. Dubai-based property developer DAMAC will limit new projects to the Gulf due to turmoil in other parts of the Middle East, the firm said on Wednesday after it reported a 166 per cent jump in third-quarter net profit. Dubai-based property developer Damac will limit new projects to the Gulf due to turmoil in other parts of the Middle East, the firm said on Wednesday after it reported a 166 percent jump in third-quarter net profit. Two investors have launched separate court action against Dubai developer Damac over the sale of residential properties in the Park Towers apartment building in Dubai International Financial Centre (DIFC). Dubai: Mashreq will be offering mortgage backing for buyers at the Villa Lantana development. This follows an agreement signed with the developer, Tecom Investments. The project — located at Al Barsha South — is due for completion by late next year. Hotel management contracts have emerged over the years as the prevailing business model arrangement in the hospitality industry. However, they remain largely unknown in the hotel investor community and even more so outside that circle. Dubai: The pilot programme to introduce a star rating system for buildings in Dubai — and by which facilities management services can be assessed — is at an advanced stage. With all the elements falling into place, it should soon go live, according to a top industry official. What’s On celebrate 35 year with party on the park. Burj Khalifa, the tallest tower in the world, registered the biggest property deal in Dubai in the third quarter of 2014, as Downtown Dubai, housing the mega tall structure, witnessed five of the top 10 deals. Emaar Properties and Dubai Holding, the developers of Dubai Creek Harbor at The Lagoons, sold units in the first tower of Dubai Creek Residences for prices between Dh1,400 and Dh1850 per square foot (psf). Union Properties reported a sharp drop in third quarter profit despite several high-profile project launches during the period. The developer behind Dubai’s Motor City development said third-quarter profit fell 26 per cent to Dh127.9 million from Dh171.9m for the same period the previous year. Dubai Parks and Resorts, the themed leisure venture, will bolster the proceeds of its forthcoming initial public offering with a Dh4.2 billion loan arranged by the US investment bank Goldman Sachs. With the opening of the first phase of the Dubai Tram network on Tuesday, Dubai’s latest infrastructure project is set to add permanent long-term value to residential units in Dubai Marina, real estate consultants Cluttons said. Hasan Ismaik the former chief executive of Arabtec has sold part of his stake in the construction company in a deal worth almost US$1bn. Abu Dhabi government-backed Aabar Investments has now raised its holding in Arabtec to 34.93 per cent, the DFM said after the close of the market today. Abu Dhabi state fund Aabar Investments raised its stake in Dubai-listed construction firm Arabtec to 34.93 percent from 18.94 percent with an off-market trade on Tuesday, the bourse said in a statement. A Dubai company plans to launch a $689 million initial public offer of shares this month as it builds a $2.9 billion amusement park complex which is key to the emirate's drive to expand as an international tourist destination. With less than a week to go before the inauguration of the Dubai Tram, Khaleej Times brings to you a list of road signs and traffic violation fines you must be aware of. On November 11, Dubai Tram will be officially inaugurated. The date is an iconic one: it will be the 11th of the 11th month. With the inauguration of Dubai Tram, 11 tram stations will be served over a distance of almost 11kms. Dubai Tram launches on Tuesday with an initial fleet of 11 trams. Which Dubai office areas have double-digit rent hikes? Six out of the 13 business districts tracked by Knight Frank, a UK-based real estate consultancy, have witnessed rents rising by double digit in the year to September 2014. The board of Dubai real estate developer Union Properties did not approve its third-quarter financial report at a meeting on Sunday, and the company will publish it only after making some amendments, it said in a statement on Monday. Despite the removal of the Abu Dhabi rent cap, rents in most areas of the capital rose by less than 5 per cent over the third quarter of 2014. Gulf Capital’s US$1 billion development of the retail project Al Maryah Central will be financed largely by Abu Dhabi Commercial Bank, its chief executive said. One of the largest construction projects in Dubai is now heading skywards. The $1 billion Damac Towers by Paramount resort in the Burj Area is to include more than 1,800 units with 1,000 one, two and three bedroom serviced suites and an 800-room 5-star Paramount Hotel when it is completed in 2016. The expansion of the Jumeirah Beach Hotel is set to go ahead with the Jumeirah Group, which operates the hotel, now finalising the necessary permits. AJMAN // Rising rents in Ajman are stretching the finances of long-term tenants to breaking point, with many now fearing they could be priced out of living in the emirate. Property prices in ‘New Abu Dhabi’ have showed signs of stabilisation in the third quarter of 2014 but city center areas saw some upward trend, according to classified website Dubizzle. Dubai is an ideal location for a second home, or even a primary home, for some Kuwaitis as they are just 90 minutes away by flight. No wonder, Kuwaitis are one of the biggest investors in Dubai’s real estate sector, compared to other GCC countries. Dubai’s Nakheel has asked the developer of the Great Britain island in The World project to ‘pay their dues if they want to proceed with the construction of the project’. Around 65 per cent of Dubai residents said that they plan to relocate to a new home upon their next lease renewal owing to large rental hikes, a new survey has found. All 5,300 shops and 96 cafes and restaurants at the Deira Islands Night Souk in Dubai have already been leased, according to the developer Nakheel. The leasing started on Sunday for the project which features shopping spread along 1.9 kilometres of waterfront and is planned to open in the middle of 2017. The Dubai authorities have done enough to temper the emirate’s soaring property market, an IMF official said six months after the fund warned of an “unsustainable” surge in prices. Around 65 percent of respondents to a new survey said they are planning to move to a new home in Dubai due to rent increases, with nearly half facing increases this year of more than 10 percent. Being only 90 minutes’ flight away from Kuwait, Dubai is an ideal location for a second home, or even a primary home, for some Kuwaitis. No wonder, Kuwaitis are one of the biggest investors in Dubai’s real-estate sector, compared to other GCC countries. The houses may be small in size, but are affordable for those working in Mumbai, India, for a salary of Dh1,200 per month. Mahindra Lifespaces Developers, the real estate arm of Mahindra Group, has recently launched an affordable housing project under its 'Happinest' vertical at Boisar, near Mumbai. A Dubai-based developer has signed an agreement with Drydocks World, one of the largest shipyards in Middle East, which will pave way to start construction on the island of Great Britain in 'The World' project in Dubai, which will include a wedding venue. Nearly 75 per cent of Dubai residents plan to move to new homes on lease renewal due to rent hikes, according to a survey released today. The results of the survey, conducted by Dubai-based website movesouq.com, showed that as many as 84 per cent claimed rent increase during 2014. Emaar Middle East has launched its third commercial tower in the Emaar Square commercial precinct in Jeddah Gate, Saudi Arabia following the sell-out investor response to the first two commercial towers. Does Dubai tenant have to settle chiller charges after moving out? Dubai: Bollywood movies and its stars have fascinated and enthralled millions cutting across geographies over the decades. But its magic and its seamless connect with audiences have been built within the confines of movie halls or multiplexes. Earning Dh9K-Dh15K in Dubai, how much rent can you really afford? Whether you’re new to the city, have spent a few years here, or have been in the emirate for the proverbial forever, rental levels in Dubai impact most of the city’s residents. Dubai: Tickets for the Dubai Tram will cost Dh3, irrespective of the distance travelled. The 10.6-km tramway, which is on track to open on November 11, is connected to Dubai’s automated fare collection system, Nol. Dubai: Global Village, the region’s largest outdoor family destination and theme park, is even bigger this year in time for its opening on Thursday, officials said on Tuesday. GFH Capital, a subsidiary of Bahrain-based Gulf Finance House has signed an agreement to sell a $25 million prime property in one of London's most prestigious postcodes, it said on Tuesday. Dubai developer Emaar is planning project to last for up to the next 150 years, it’s chairman Mohamed Alabbar told reporters as he emphasised the company’s long-term vision. The UAE’s residential market remains the top pick for investors from the Middle East and North Africa (MENA) region, according to the latest Real Estate Investor Sentiment survey from property advisory firm JLL. ABU DHABI // Property prices for newer developments in the capital have stabilised, but they have increased in some city-centre neighbourhoods by almost a quarter, data shows. The Dubizzle website on Tuesday released a list of its most popular Abu Dhabi property searches from the year’s third quarter. Property prices in the UAE control many a fortunes, and some of the most prestigious addresses in the country have made individuals millionaires and multi-millionaires. The tallest building in Abu Dhabi, rising 382 metres high, has been named after the UAE VP and PM and Dubai’s ruler Sheikh Mohammed Bin Rashid Al Maktoum, official news agency WAM reported. A dearth of affordable housing is hitting lower and middle income earners in Dubai and harming the city’s competitiveness and ability to attract new residents, a new report from the real estate firm Colliers shows. What is the asset class and geography you are focused on? Dubai developer Nakheel announced that it is now leasing retail and restaurant spaces at Night Souk, its new shopping destination within the 15.3 square kilometre Deira Islands development. Dubai Properties has announced the appointment of Engineering Contracting Company as main contractor for its AED800 million ($217.8 million) Dubai Wharf project, part of the Culture Village development. Rents in Ajman, Umm Al Quwain (UAQ) and Ras Al Khaimah (RAK) are almost two to three times lower than Dubai’s most affordable communities, according to a new report.